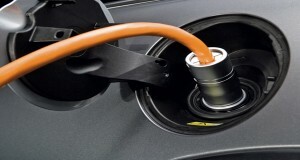 According to a report recently published by The Greenlining Institute, electric vehicles are an important tool for reducing greenhouse gas emissions from the transportation sector, which is responsible for 39% of air pollution and the leading source of greenhouse gas emissions in California. Electric carsharing programs in underserved communities, which is the fastest growing consumer segment, will reduce air pollution in critically affected neighborhoods that are disproportionately affected by air pollution while solving a major transportation problem. The Charge Ahead Initiative, SB 1275, supports electric carsharing in underserved and low to moderate income areas, while supporting California’s goal for a Million Electric Vehicles by 2023. This effort will address air pollution at a time when twice as many people are dying from traffic pollution than from traffic accidents. Each vehicle in a carsharing program has the potential to replace between 9-12 personal vehicles on the road and reduce miles driven and greenhouse gas emissions by up to 43% while saving $154-$435 per month of associated car ownership costs for each carsharing member. Carsharing has seen impressive growth across the country, but underserved communities are still not in the action. A carsharing program will provide solutions for the first-last mile problem low to moderate income families experience because public transportation often does not go into neighborhoods with affordable housing. Electric vehicle carsharing delivers a unique opportunity to improve the health and mobility of families living in underserved communities while supporting state-wide energy goals.